Is Michael Solomonov planning to open Zahav-lite in South Kensington garage? 1301 N. Howard Street in South Kensington could be the site of a new CookNSolo restaurant modeled on the award-winning Zahav. The CookNSolo family of restaurants may soon be expanding to unlikely neighborhood in Philadelphia. 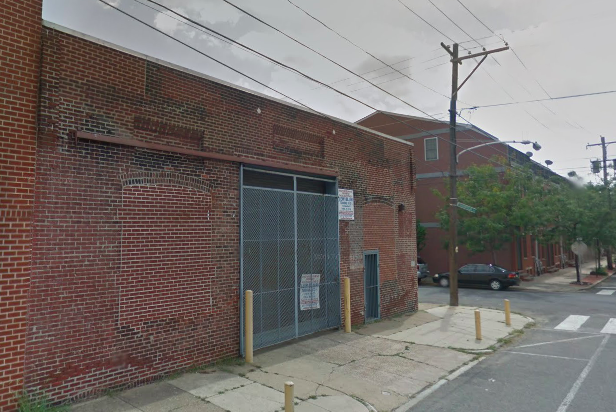 Community organization South Kensington Community Partners confirmed to PhillyVoice that partners Michael Solomonov and Steve Cook gave a presentation at a recent meeting to open up a restaurant at 1301 N. Howard St.. The duo behind Zahav, Federal Donuts, Dizengoff and several other popular concepts put in a motion for a zoning variance granting "permission for commercial space in an area designated for residential," according to meeting minutes. The request was for a "sit-down restaurant" in the existing structure. Property records scoured by OCF Realty indicate the garage has been used for various storage purposes since the 1930's and most recently held unused newspaper honor boxes belonging to Philadelphia Weekly. Reps for CookNSolo did not immediately respond to a request for comment on Wednesday afternoon. Separate reports from philly.com and Eater Philly note that a liquor license transfer notice is up on the building and is from an entity called "Elwolf LLC." That would seem to jibe with rumors shared by a commenter on OCF Realty's blog post, identified as a South Kensington local, who wrote the concept was known as "Laser Wolf" and would be "in the vein of a less formal Zahav," CookNSolo's acclaimed Israeli restaurant. An SKCP spokeswoman said the variance was approved at the meeting and the organization sent a letter of support to the city. The news comes as CookNSolo redirects its focus on Philadelphia, having recently announced the pending closure of New York City's Dizengoff at Chelsea Market. Federal Donuts, meanwhile, has plans to expand in Center City and South Philadelphia.